For each person that registers to use our online lunch ordering service, we collect your e-mail addresses, name and street address, telephone number, fax number. We also collect the e-mail addresses of those who communicate with us via e-mail. The orders.schoolhousefare.com site is encrypted using Global Sign, which provides 128-bit encryption to protect the personal information stored on servers (excluding credit card data that if saved, is stored at Payline Data. 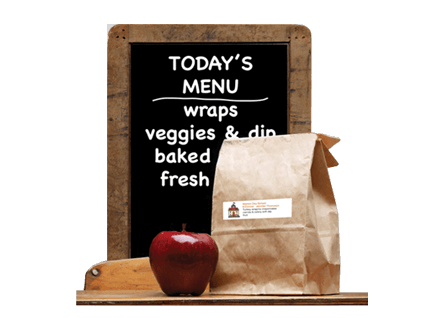 E-mail correspondence or periodic mailings to your postal address will only be sent if it has important information regarding your school lunch program or the operation of the services provided on our Web Site. Schoolhousefare.com processes your payments through Payline Data one of the most trusted names in ecommerce. The security of your information, transactions, and money is the core business and top priority of schoolhousefare.com and the following is a brief statement that summarizes the security processes in place. Payline Data automatically encrypts your confidential billing information in transit from our servers to using the Secure Sockets Layer protocol (SSL) with an encryption key length of 128-bits. Schoolhouse Fare does not store your personal billing on our site as this information is managed via our link with Payline Data. Once your billing information is submitted to Payline Data, it resides on a server that is heavily guarded both physically and electronically. The servers sit behind an electronic firewall and are not directly connected to the Internet, so your private information is available only to authorized computers. If you feel that this site is not following its stated information policy, we can be reached via mail at 919 Kushiwah Creek Drive, Charleston, SC 29412 or by telephone at 1-843-297-8030.